Arizona's rust-colored desert landscape provides a beautiful backdrop for a relaxing, rejuvenating vacation, which is why so many sun-seekers travel to Phoenix and Scottsdale every year to enjoy a spa getaway. If you are craving a bit of pampering, you should definitely consider taking a trip to either Phoenix or Scottsdale. These Arizona cities are home to a number of beautiful resorts and world-class spas, which means that you can spend your time in the picturesque Arizona desert unwinding and relaxing. If you want to book your stay at one of the best spa resorts in Phoenix, you should let Vacatia help you plan your upcoming Arizona getaway. 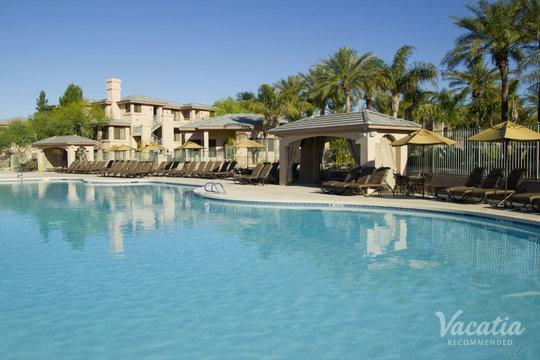 Vacatia strives to provide travelers with quality vacation rentals in beautiful destinations, such as Phoenix and Scottsdale, and Vacatia can help you book your stay at one of the premier spa resorts in Scottsdale. When you book your vacation accommodations through Vacatia, you can be sure that your time in Phoenix or Scottsdale will be filled with pampering and relaxation. Situated in the gorgeous desert of Arizona, the cities of Phoenix and Scottsdale are widely considered some of the best destinations in the country for spa retreats. 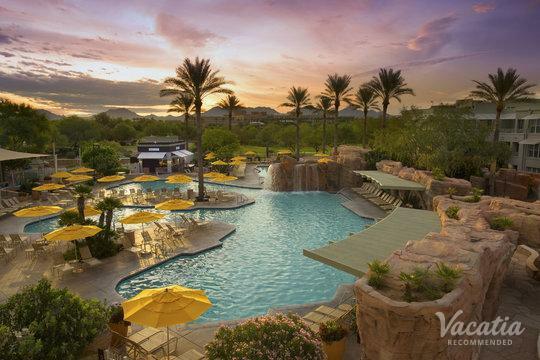 Every year, Phoenix and Scottsdale attract visitors from around the country looking to indulge in the warm, sunny weather and the top-notch spa treatments. 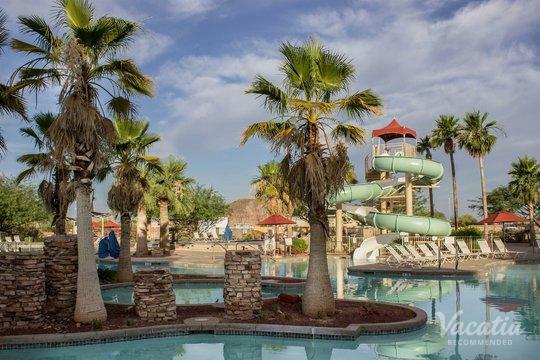 The rejuvenating properties of the desert further enhance the relaxing effects of staying at one of these premier spa resorts, and you could soak up all the relaxation that Arizona has to offer by booking your accommodations through Vacatia. Unlike a standard hotel room, a Vacatia property features added living areas and home comforts, such as a fully equipped kitchen. Additionally, Vacatia's vacation rentals also provide the desired services of a resort, such as spa services. 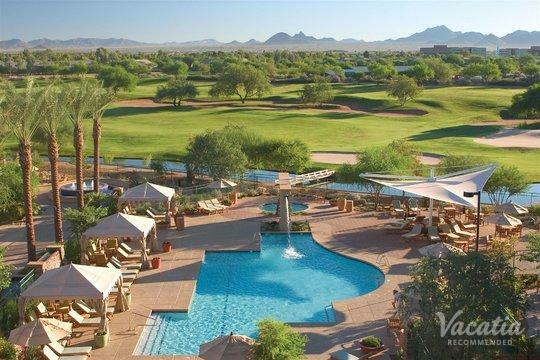 So if you are looking to soak up the relaxing benefits of the Arizona desert, you should work with Vacatia to book your stay at one of the resorts with spa in Phoenix. You can spend your days in Arizona getting massages and facials and indulging in an array of relaxing, pampering treatments, and then you can witness the breathtaking beauty of the sun setting over the picturesque desert landscape. 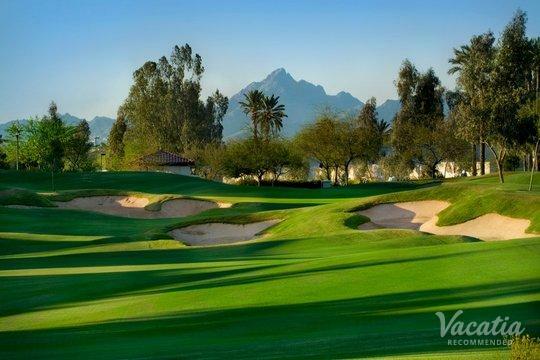 Both Phoenix and Scottsdale are considered premier getaways for those looking to relax and unwind. While these Arizona cities provide plenty to do and see for adventurers, they also provide the perfect atmosphere for relaxing and pampering yourself. Because of the year-round sunny weather and the beautiful natural surroundings, Phoenix and Scottsdale have become oases for spa lovers. After you indulge in quality spa treatments, you can explore the great dining, shopping, and nightlife that these Arizona cities have to offer. 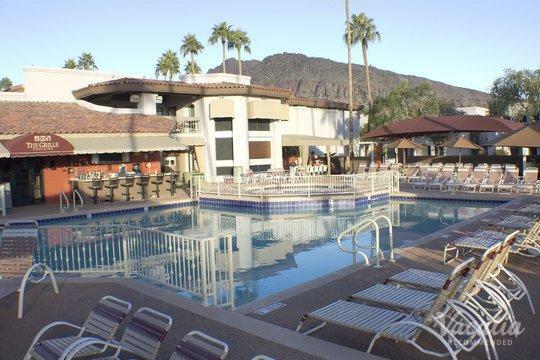 So if you want to book your stay at one of the best resorts with spa in Scottsdale or Phoenix, you should let Vacatia help you plan your Arizona getaway. It's always a good time to treat yourself to some luxurious time at the spa, and Vacatia can help ensure that you make the most of your Arizona escape.